While going through subject matter of a slot game can sometimes becomes very confusing. This is due to the mixture of multiple storylines and the symbols which are in the form of characters from different classics. This is the same case with Mirror Magic Slot Machineas it is a strange combination of the classic works of Charles Dickens, Mervyn Peake and multiple fairytales. The design of this game is somewhat on the gothic side with symbols resembling characters from different classics ranging from Snow White to Oliver Twist. The reels of this slot are designed in 5×3 format. While some of the symbols on the reels are presented as framed photographs while the other are just floating over the reels there without any type of casing. Even the reels don’t have any type of separation between them. The background of the reels is in the form of a scene depicting a moonlit night with a mysterious castle sitting high over the hills. The soundtrack of this online slot comprises of sounds of the night with a music depicting magic and suspense. The symbols of this game are in the form of different human characters and animal coins. The characters of this game are designed in the form of classic caricatures. The variance related to this game is bit on medium to higher side. Even though there are not many bonus features provided in this game, but the facility of selecting number of pay-lines and free spins make it quite worthwhile. Mirror Magic is five reels and 25 fixed pay-lines slot game. This slot machine comes with a fixed jackpot of 2.000x along with the other usual features which include auto play, bonus rounds, free spins, scatters and wild symbols. This slot does not provide any kind of gambling options. The betting range for this game starts at £0.01 and goes all the way up to £50.00. Landing five of these symbols on an active pay line awards 1000x. Landing four of these symbols on an active pay line awards 500x. Landing three of these symbols on an active pay line awards 50x. Landing five of these symbols on an active pay line awards 2000x. Landing four of these symbols on an active pay line awards 1000x. Landing two of these symbols on an active pay line awards 2x. Scatter Symbol: A gypsy with a crystal ball is the scatter symbol of this game. 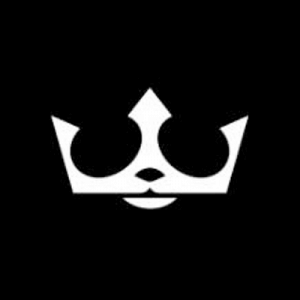 Landing three or more of these symbols anywhere on the reels activates the Free Spins bonus round. Apart from this round, landing two or more of these symbols on an active pay-line also provides different cash prizes in the following ways. Landing five of these symbols on an active pay line awards 50x. Landing four of these symbols on an active pay line awards 10x. Landing three of these symbols on an active pay line awards 5x. Wild Symbol: A jester holding a board with “Wild” written on it is the wild symbol of this game. They can be substituted for all other symbols except for the scatter symbols. These symbols can appear anywhere on the reels and help in creating winning combinations. Apart from this, landing two or more of these symbols anywhere on the active pay-line also provides different cash prizes in the following ways. Landing three of these symbols on an active pay line awards 2x. 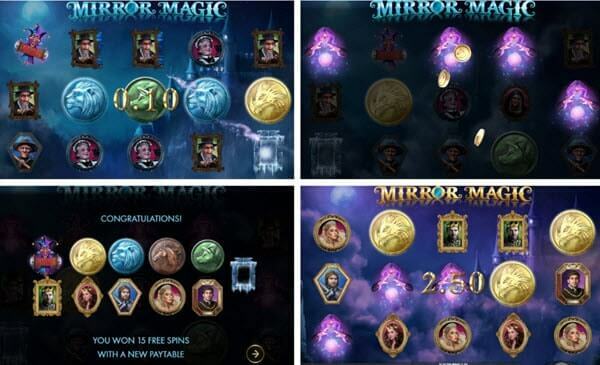 Mirror Magic slot machine by Microgaming comes with only one bonus feature called Free Spins. Free Spins Bonus Round: This bonus round gets activated by landing three or more of the scatter symbols anywhere on the reels. On activation of this round, the player is provided with free spins. The number of free spins depends upon the number of scatters landed on the reels in the following ways. Landing three scatters awards 10 free spins. Landing four scatters awards 15 free spins. Landing five scatters awards 20 free spins. During this bonus round all the menial servant symbols are replaced with royalty symbols which have some of the highest returns for this game. Landing three or more of the scatters in free spins can also re-trigger more free spins. Significant T&Cs: Opt-in Required. No deposit Needed, New & Existing UK customers. Max 50 free coins. Max10 free spins per day for max 5 consecutive days. Daily free spins expire within 24hrs. Age of gods games only. 40x wagering. Max Withdrawal £20 per day. Player, currency, game restrictions and terms apply.